After months of researching and writing, today I can finally reveal the project on which I have been working. The 80’s Annual is a fun mix of everything we loved back in the day, combined with news and views from 80’s artists on 2016 and beyond. As a huge fan of the decade, I have endeavoured to put together something I would want to read, so I’m hoping it will appeal to all you 80’s fans too. A full-colour retrospective of the year, with more than a nod to the teenage magazines of the era, The 80’s Annual embodies the excitement felt by the generation who grew up receiving an annual at Christmas. Featuring celebrity commentary on 80’s popular culture, 20 Question interviews, Top Tens, with contributions from Bruce Foxton, The Selecter, Johnny Hates Jazz, Musical Youth, Londonbeat, Then Jerico, Phil Fearon, Brother Beyond, Modern Romance, John Parr, Paul Hardcastle, Hazell Dean, Steve Blacknell, Garry Bushell, Matthew Rudd and more. 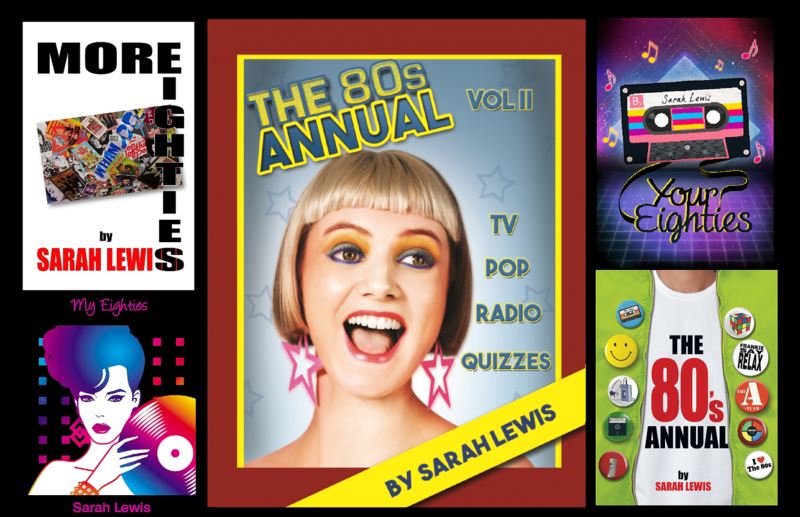 Not forgetting the obligatory cheesy photo story, 80’s fiction, crosswords, puzzles, and quizzes including Lyrically Challenged, Pop Quiz and Which 80’s Group Are You? The 80’s Annual offers the perfect combination of nostalgia and new. A great read for every adult 80’s child. Going back to the 80s has never been so much fun! The 80’s Annual will be published by New Haven Publishing on 1st November, and is currently available for pre-order from Waterstones.